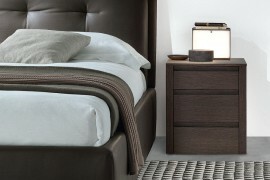 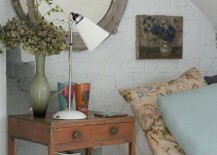 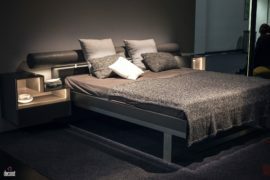 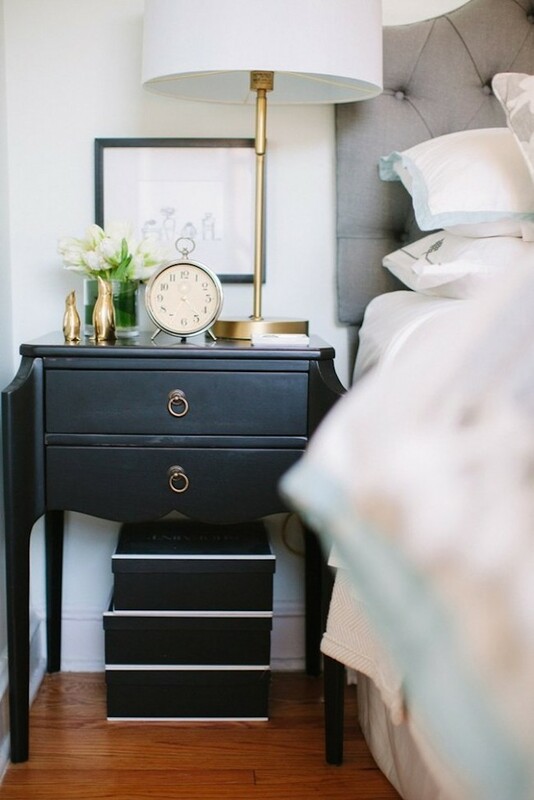 Your bedside nightstand is one of those pieces of furniture that serves a lot of function. 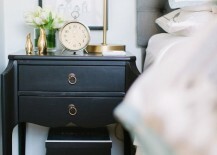 If you’ve got a small one, it can quickly turn into a frustrating problem if you want to use it to store your books, glasses, nighttime cosmetics, jewelry, medication, your alarm clock, a light fixture, and anything else you might need on a daily basis when you wake up or before you go to bed. 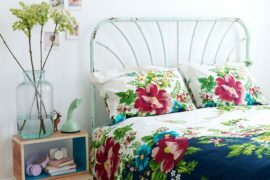 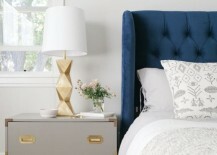 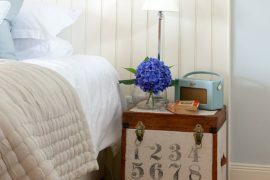 To prevent your nightstand from turning into a big junk pile that’s actually been accessorized nicely, consider using some of the following style ideas. 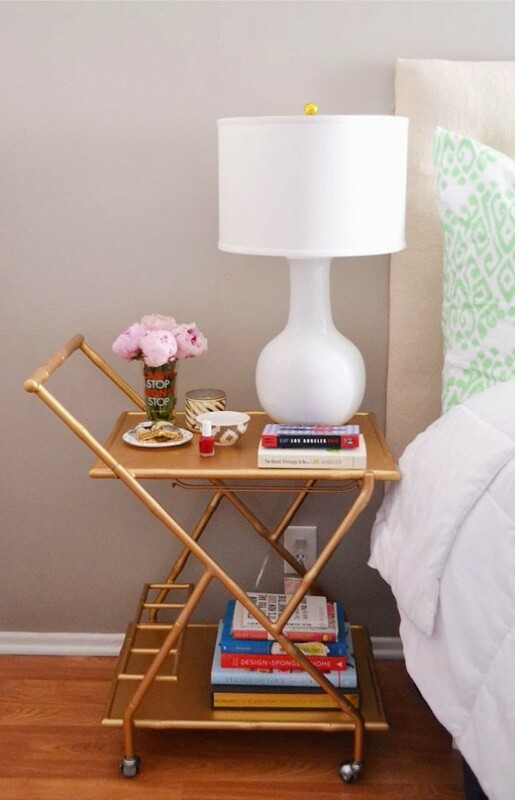 What’s a bedside table without a lamp? 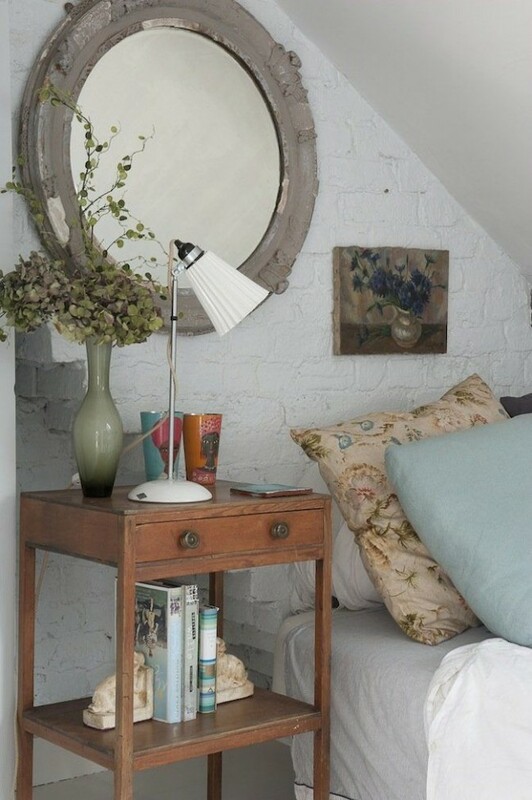 Whether you want to spend some time reading or just prevent fumbling around in the dark, good lighting is always a great idea. 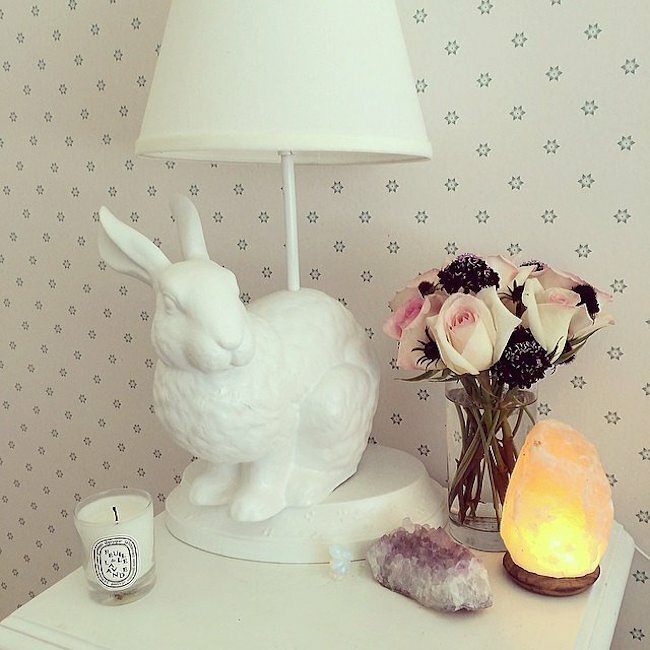 Check out this large lamp with an adorable white rabbit base or this simpler office-style lamp to maximize space for other things. 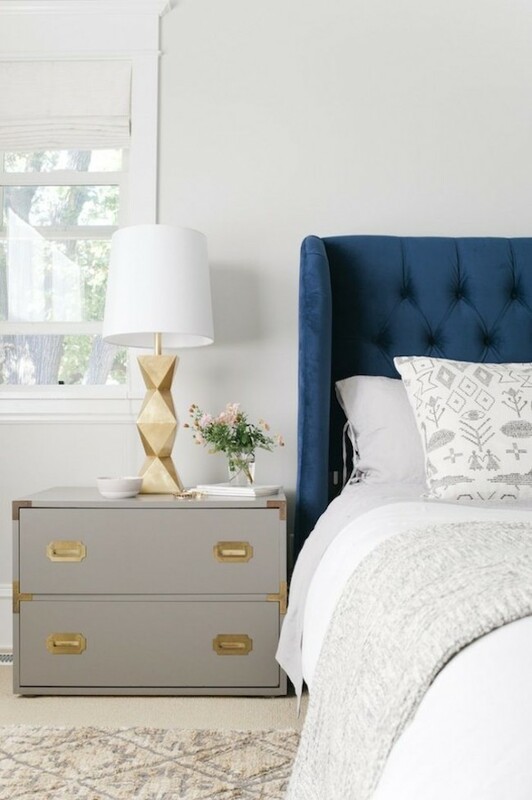 You might be surprised by how much better you can make your nightstand look just by placing a vase of flowers or a potted plant on it. 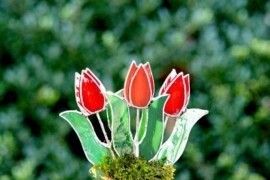 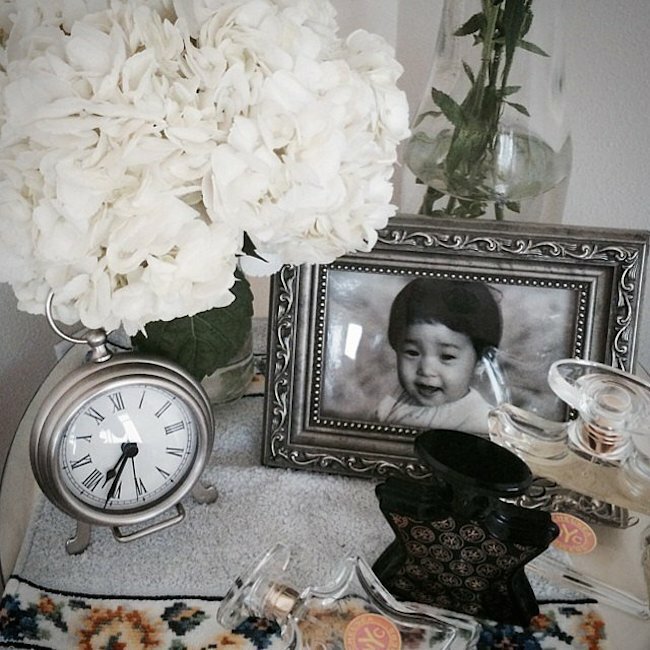 Try small flowers in a glass of water for a subtle look, a fuller bouquet with a fancier vase if you want it to stand out a bit more, or a tall plant like an orchid to bring some height and color to the space. 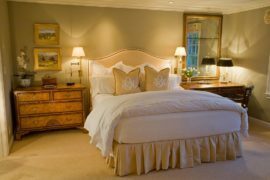 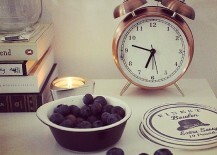 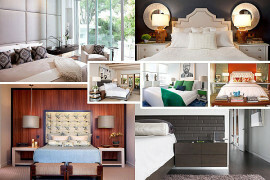 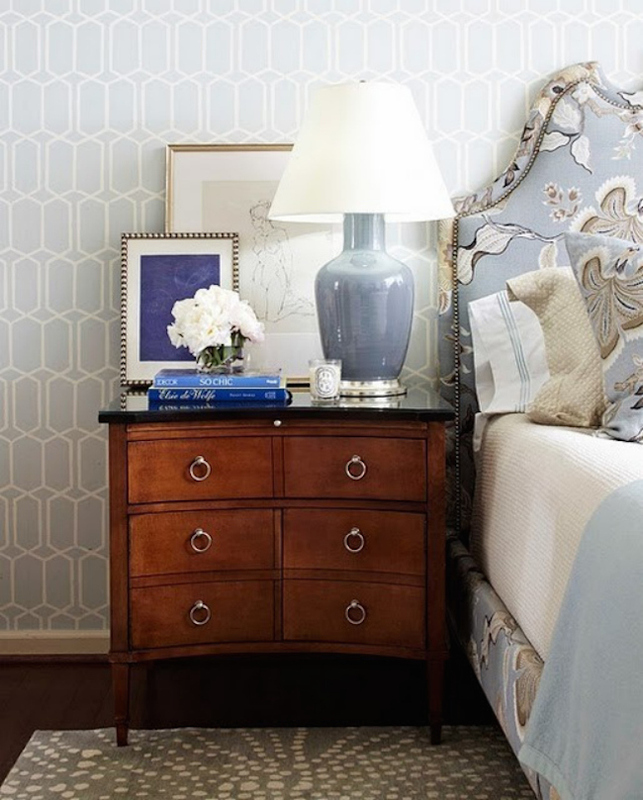 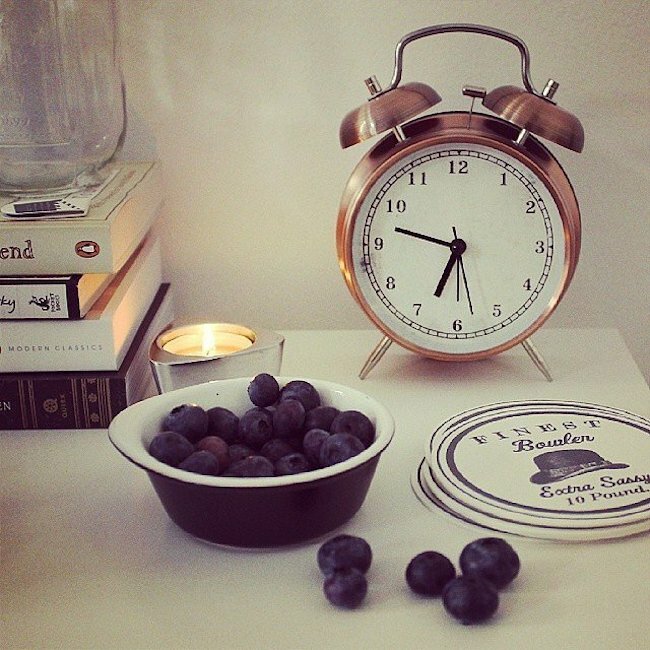 When it comes to the bedroom, clocks make a great addition to the nightstand. 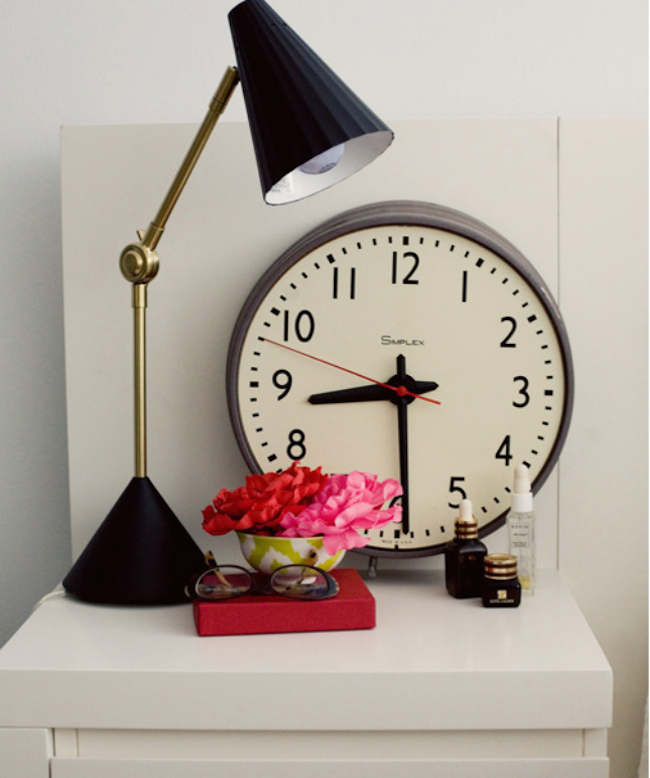 Analog clocks always look more chic than digital ones, so if you’re okay with getting used to reading the time like we used to back in the day, then you should go for it! 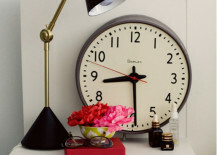 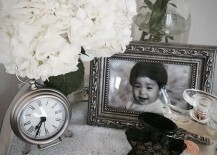 Use a medium-sized analog clock, an over-sized one, or a clock that brings a little shine and sparkle to the room. 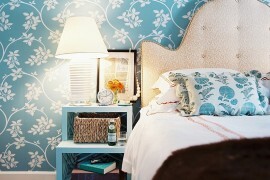 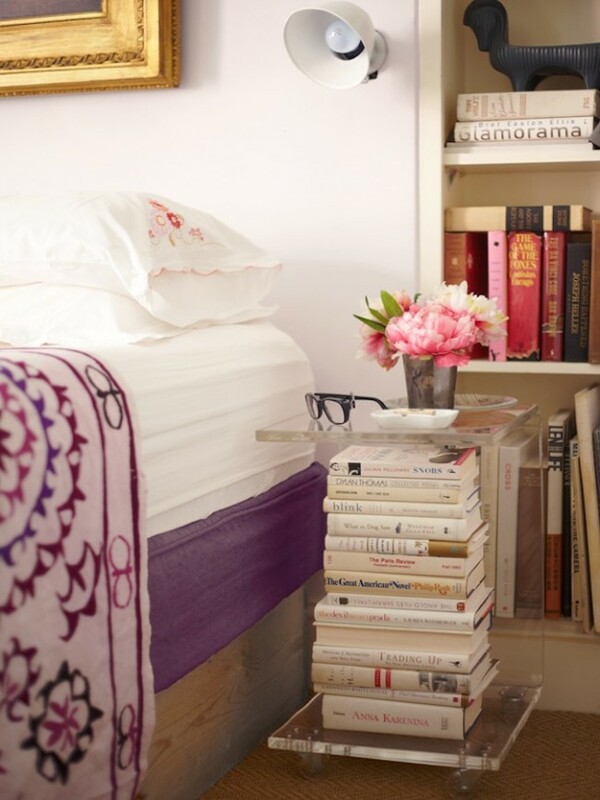 Even if you don’t typically read before bed, a few books still look gorgeous on a nightstand. 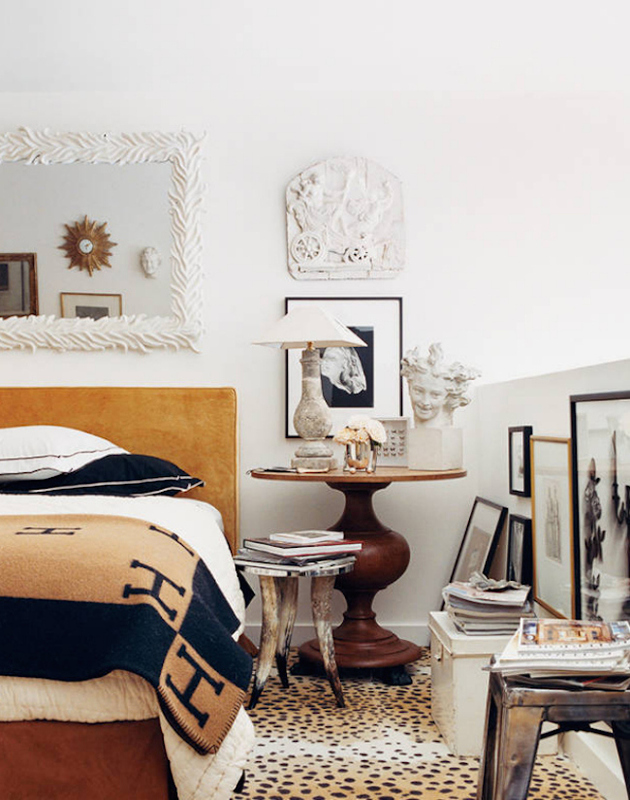 Add one or two, or a whole stack as long as it doesn’t look cluttered. 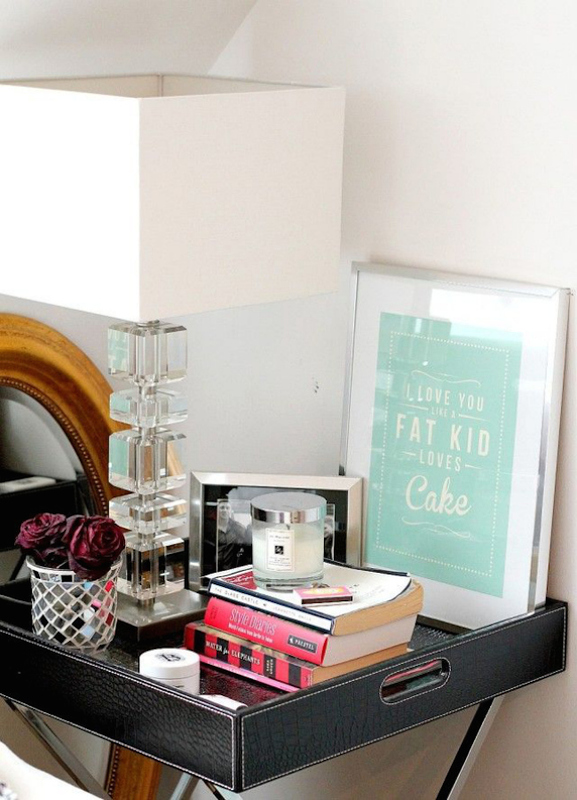 This nightstand actually uses a large stack of books to hold itself up, and this decorative serving cart places them on both the bottom and top levels. 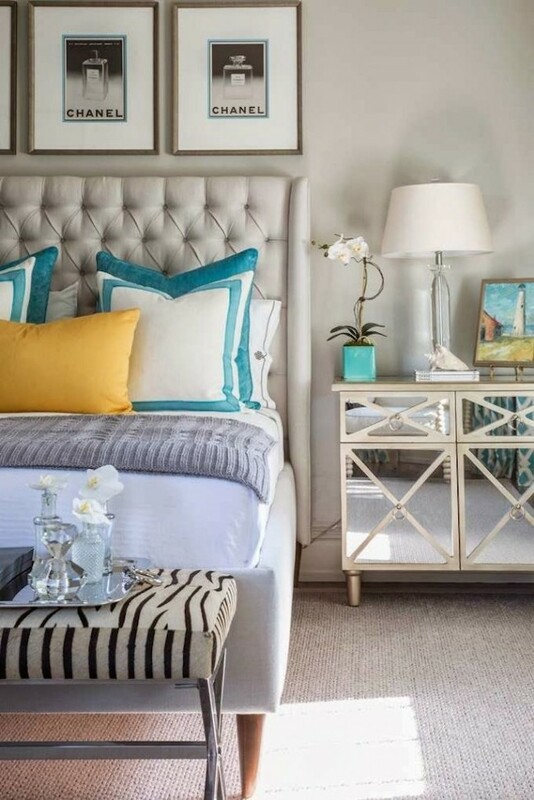 Lamps and plants can add a generous amount of height to fill up space on a nightstand, but nothing quite does it like a big piece of wall art or a framed photo. 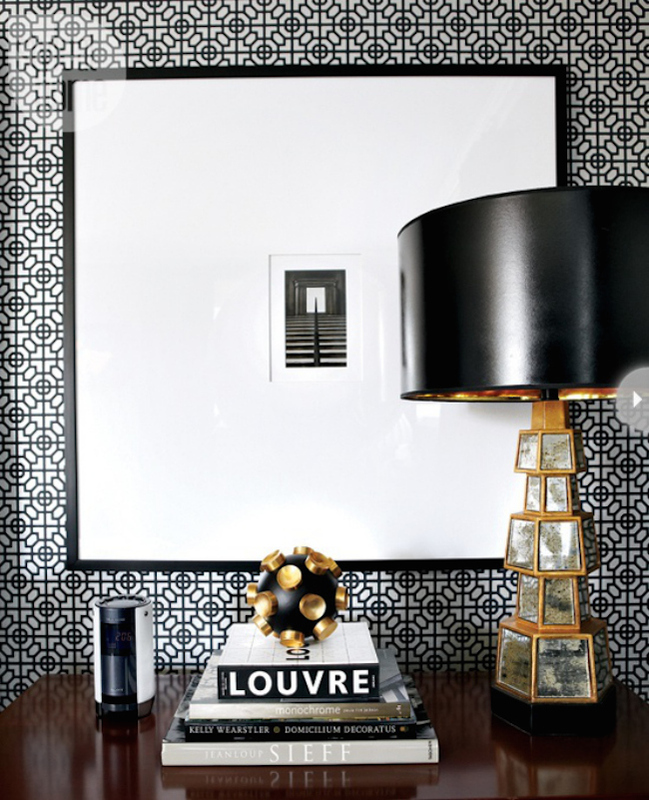 You can lean it against the wall, layer them on top of each other, or just add a simple, small framed photo that stands on its own. 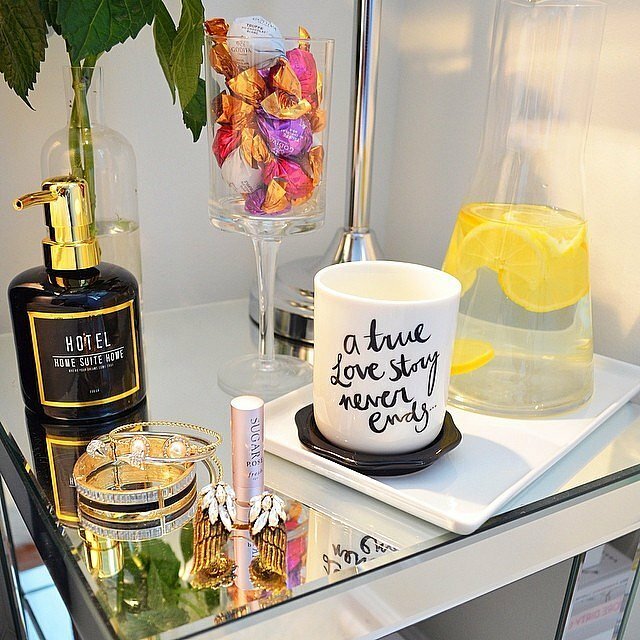 Your nightstand is the perfect place for a candle or two, which can help create that relaxing atmosphere you need at the end of the day. 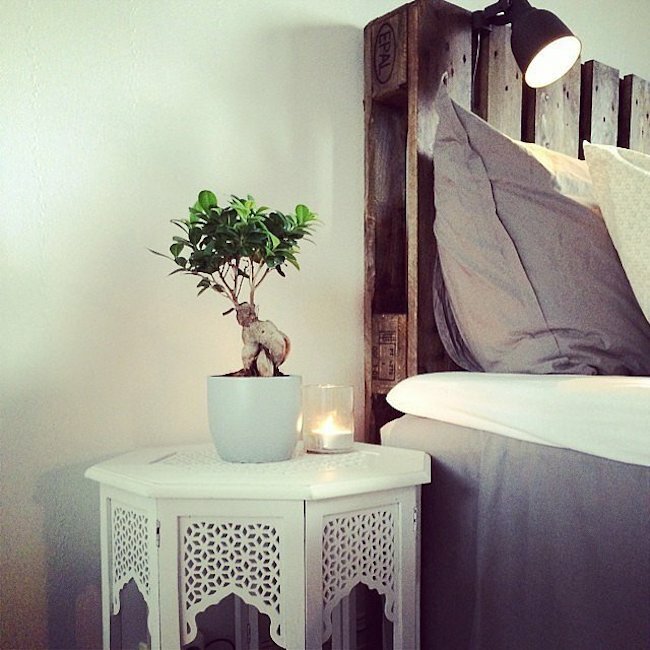 Keep it simple with just one candle and another object like a plant, or go crazy and add it to all the other decorative nicknacks you store on your nightstand. 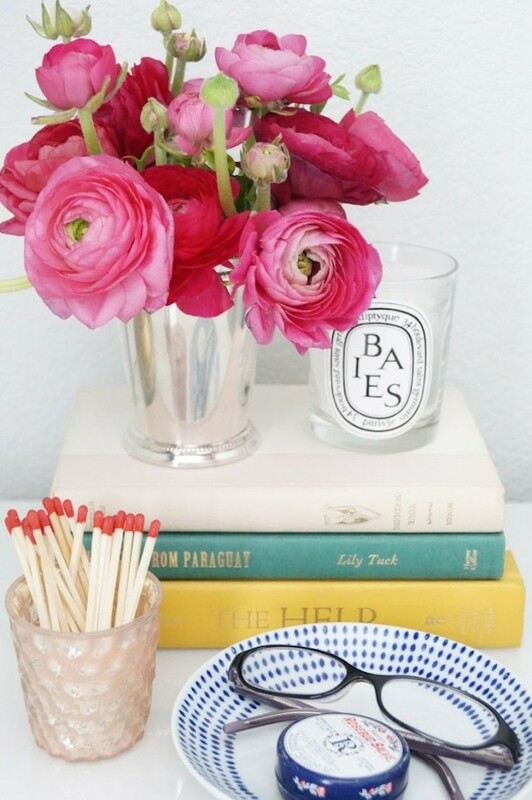 Don’t forget to include some matches if you plan on lighting them! 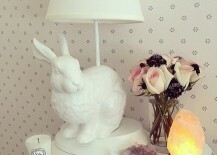 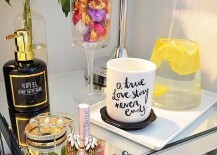 Last but not least, your nightstand could always use a fun object that just kind of adds to the decor. 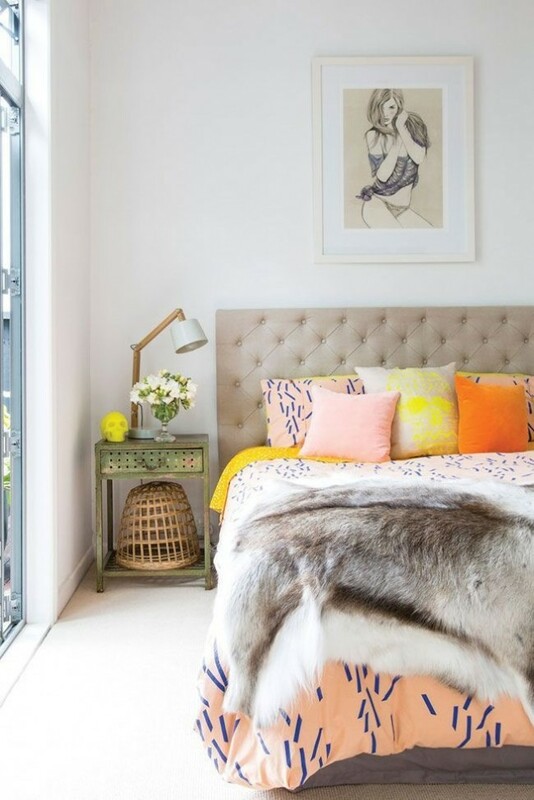 Try artsy sculptures if they complement the rest of the room well, or find something oddly shaped that adds some geometry or texture.